Moyagh Murdock said people had felt let down by recent garda revelations. Moyagh Murdock said people had been let down by recent Garda revelations. THE CEO OF the Road Safety Authority has welcomed news that the Garda Traffic Corps is to be reformed into a different road policing unit. Moyagh Murdock was responding to reports in today’s Irish Times that plans were being considered by senior Garda management that would bring sweeping changes to parts of the force. These changes are in response to the revelations that gardaí had inflated alcohol breath testing figures by over a million tests. Speaking TheJournal.ie at the RSA’s annual ‘Seatbelt Sheriff’ awards for children, Murdock welcomed a proposed overhaul of the Garda Traffic Corps. “I welcome the reports today that the commissioner is reforming the Traffic Corps and it’s becoming the roads policing unit,” said Murdock. And we would welcome the actual commitment to increasing the Garda resource numbers in roads policing and road safety because clearly they have been depleted over the years and it’s very important that we reverse that trend. Murdock said that motorists and people who had been affected by death on the roads had “all felt very let down” by the recent Garda revelations. “This was a big body blow to find out that the numbers were completely inaccurate so we have to now work forward from this here and try to address that problem as soon as possible,” she said. Murdock said that it was important for the gardaí and RSA to work together to reduce the number of road deaths on Irish roads after it increased in 2016. When questioned whether she had confidence in the ability of the gardaí or the Garda Commissioner to reduce these deaths, Murdock said she didn’t want “to get drawn into a political argument”. “I don’t want to get drawn into a political argument now I think what we really want to see is the commitments being delivered upon in terms of resources and we want this addressed,” she said. Murdock again called for an independent assessment or an independent oversight of Garda stats to figure out how breath testing errors occurred and to ensure that the same issues didn’t arise again. The Garda Commissioner Nóirín O’Sullivan has been under strong political pressure to clarify how the inflated figures occurred and to take decisive action. A number of politicians have said she should step down in her role, while Sinn Féin has tabled a motion of no confidence. 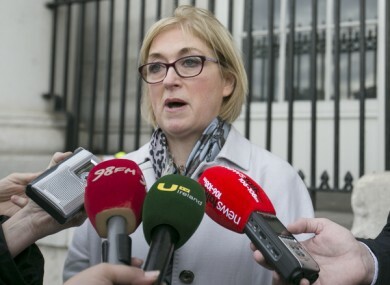 Fianna Fáil has also refused to express confidence in O’Sullivan. The Irish Times reports that a new roads policing unit would move away from depending fully on speed checks and breath testing as measures of activity towards more general roads policing. Read: How were the 150,000 garda hours for phantom breath tests accounted for? Email “Road safety chief welcomes news that the Garda Traffic Corps is to be reformed ”. Feedback on “Road safety chief welcomes news that the Garda Traffic Corps is to be reformed ”.